The following biographical remarks are extracted from H. Macauley Fitzgibbon's The Story of the Flute (1914). Fitzgibbon repeats here the myth that Kuhlau played the flute. For a more balanced view of Kuhlau, emphasizing his contributions as a pianist/composer and his influence on Danish music, see this biography by Charles Moss. Also see this short biography. The greatest of all flautist-composers was Kuhlau, whose classical compositions have deservedly earned for him the proud title, "The Beethoven of the flute," and many of his works undoubtedly show the influence of that great master, and would be quite worthy of him. Frederick Daniel Rodolphe Kuhlau was born in 1786 at the village of Uelzen in Luneburg, Hanover. At an early age, his mother sent him one dark winter's evening to draw water at the fountain; on the way thither he fell and injured one eye so much that he lost the sight of it. He studied the pianoforte, the flute, and other instruments at Hamburg. In order to avoid the Conscription of 1810, Kuhlau moved to Copenhagen, where he became Chamber Musician to the King, and in 1813 set about to revive the Danish opera. His operas were eminently successful. They had a pronounced national character, and skilfully introduced many of the famous old Danish folk-songs and national scenery. The King, voicing the popular enthusiasm, bestowed on him the title of Professor to the Faculty of Royal Danish Court Composers. Meanwhile Kuhlau had removed, to Lyngbye, a little town near Copenhagen. In 1830, his house—a wooden structure—was burned and many valuable MSS. destroyed. Under this catastrophe his health gave way and he died on the 12th of March, 1832. A march of his own composition was performed at his funeral, which was one of great pomp. "I must admit that the champagne went a little to my head yesterday, and I learned once more from experience, that such things rather prostrate than promote my energies; for, though able to respond fluently at the moment, still I can no longer recall what I wrote yesterday. Sometimes bear in mind your attached Beethoven" (Nohl's Letters of Beethoven). Kuhlau certainly did more than any other composer to raise the standard ot flute-music, and Sir G. Macfarren says he is one of the lights of modern art and ranks him with Schubert. One can play his eighteen sonatas for flute and pianoforte day after day with increased pleasure: they never pall. A great feature is the extremely interesting pianoforte accompaniments; they give full opportunity to the flautist and to the pianist alike for the display of executive skill. The Adagio movements are specially beautiful. These admirably constructed and brilliant works (written chiefly, it is said, at the desire of an enthusiastic amateur flautist) display the most thorough technical knowledge of the instrument. 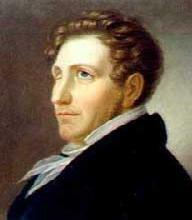 Kuhlau was a voluminous composer, and over two hundred of his works are still in existence. They are a complete refutation of the assertion so frequently made, that there is no really good music written for the flute. This statement merely displays the ignorance of those who make it. We have already seen that several of the greatest composers have written for the instrument; and Kummer, Furstenau, Gabrielsky, Walckiers, following in the footsteps of Kuhlau, have left behind them a mass of original flute compositions, much of which is of a high order of merit, whilst in more recent times quite a number of works, worthy to be ranked as "classical," have appeared.